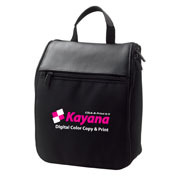 PRICE INCLUDES ONE COLOUR, ONE LOCATION IMPRINT. Initial set-up charge applies. 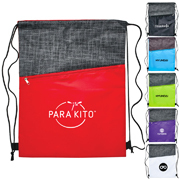 Additional colours/locations are $0.56/unit/colour/location, plus a $75.00 setup charge/colour/location. Production time begins after all approvals. 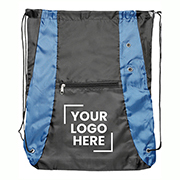 This polyester drawstring backpack is ideal for any campaign or event. 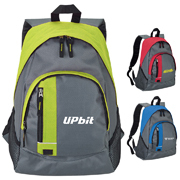 It has a zipped pocket on front and is styled with a black swatch stripe above the zipper. 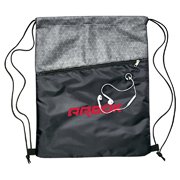 This nylon drawstring bag with earbud hole is ideal for any campaign or event especially sports promotions. 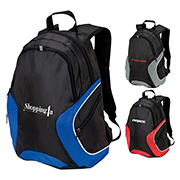 It has two drawstrings and a zippered front pocket with earbud port allowing to run earbuds out of front pocket. Silver geometric pattern above zipper. 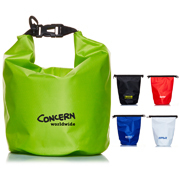 210D lightweight polypropylene with 100gsm non woven trim. 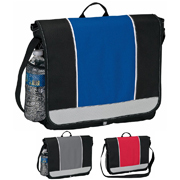 Large zippered main compartment, with zippered side pockets, adjustable padded backpack straps and carry handle. Supplied in polybag. 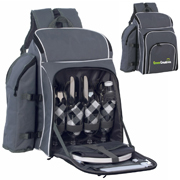 600D polypropylene backpack with large zippered main compartment with 2 mesh side pockets, 2 front zippered pockets, adjustable padded straps and carry handle. Supplied in polybag. 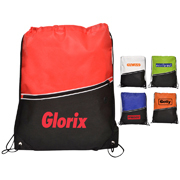 Constructed from ripstop material and 600D polyester. 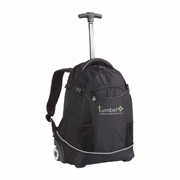 Curved retractable handle, silver mag wheels, padded backpack straps, zippered main compartment with padded laptop & tablet section. 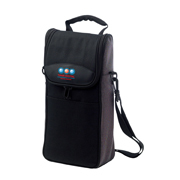 Front clip flap for extra storage and padded carry handle. Supplied in polybag. 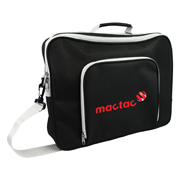 600D polypropylene top flap satchel with Velcro closure, accessory organiser under front flap, carry handle and adjustable shoulder strap. Supplied in polybag. 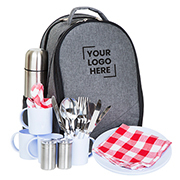 600D polyester 4 person setting (4 Spoons/Knives/Forks/Plastic Wine Glasses/Cotton Napkins, 2 Salt & Pepper Shakers, 1 Cutting Board, 1 Cheese Knife, 1 Bottle Opener) with 15 litre cooler compartment and detachable insulated wine cooler. Supplied in polybag. 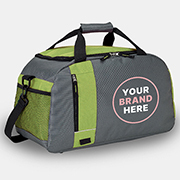 Large capacity, fully insulated 600D polyester cooler bag. 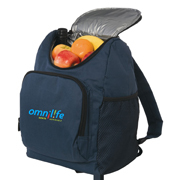 Features zippered main compartment, outside gusseted insulated compartment, carry handle and padded adjustable strap. Supplied in polybag. 500D PVC coated tarpaulin, 10 Litre capacity. 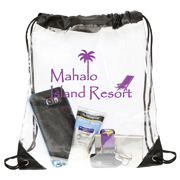 Water resistant dry bags keep your items safe and dry. Each bag features roll-down closure which creates a watertight seal. 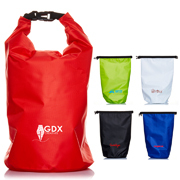 Great for outdoor activities, like camping and wet-weather trips. Imprint one side only, due to seam on reverse side. 500D PVC coated tarpaulin, 5 Litre capacity. 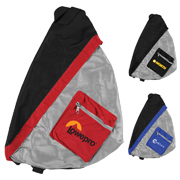 Water resistant dry bags keep your items safe and dry. 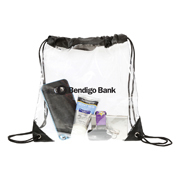 Each bag features roll-down closure which creates a watertight seal. 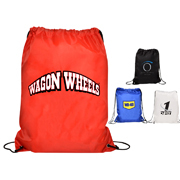 Great for outdoor activities, like camping and wet-weather trips. Imprint one side only, due to seam on reverse side. Split leather and microfiber bathroom bag with zippered compartments, elastic internal pockets, carry handle and hanging hook. 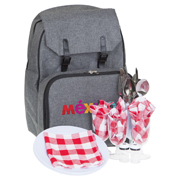 Supplied in deluxe 2 piece black box. 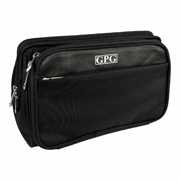 Black polypropylene toiletries bag with three zippered compartments and Nappa leather trim. 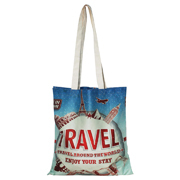 Ideal for the executive when travelling. Supplied in polybag. 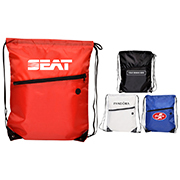 600D polypropylene material with zippered main compartment, mesh side pocket, plastic feet and removable, adjustable strap. Supplied in polybag. 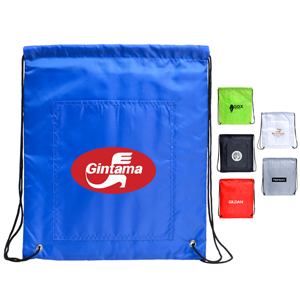 600D polyester conference bag with front zippered compartment, carry handle and mobile phone pocket Supplied in polybag. 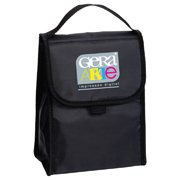 Black foldable lunch bag in 70D polyester. Supplied in polybag. 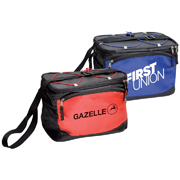 600D polypropylene with 2 tone material trim, zippered flap opening and black PVC patch. Supplied in polybag. 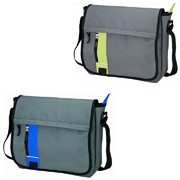 600D polypropylene with 2 tone material trim. 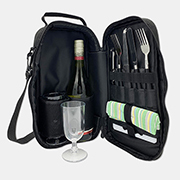 Set includes 2 person wine and cheese setting (2 Forks/Knives/Plastic Wine Glasses/Cotton Napkins, 1 Cutting Board, and 1 Bottle Opener) with shoulder strap. Supplied in polybag. 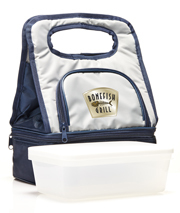 420D nylon grey/navy trim cooler features upper compartment with additional outside pocket and lower compartment includes white plastic container. Supplied in polybag.